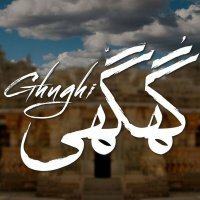 Ghughi is one of the upcoming most awaited drama serials. This is a production of Adnan Siddiqui and Akhtar Hussain. The drama is going to be releasing soon on TV One. The story of the drama is written by Amna Mufti and director of drama is Iqbal Hussain. The cast of the drama is Asma Abbas, Adnan Siddiqui, Rashid Mehmood and Amar Khan is lead roles. The story of the drama is all about a kidnapped girl and tortured man. the story of the drama is unique and interesting.